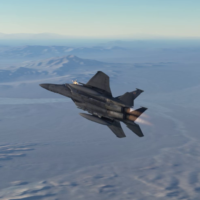 Guest writer Fridge shares some thoughts on flying tactical combat missions in a three-part article series: Tactical Combat Flying For Two. This part contains a discussion on tactics which is followed through in Part 2: The After Action Report and Part 3: The Debrief. 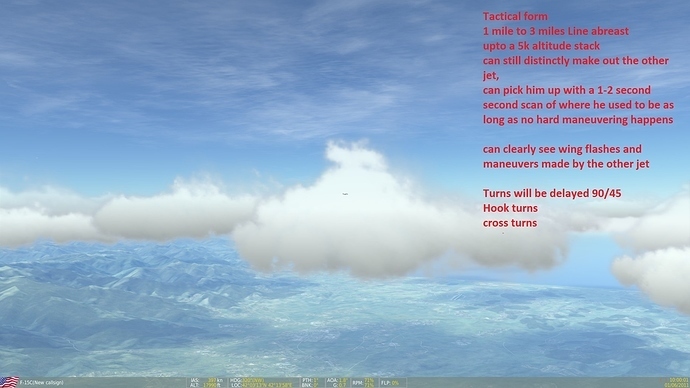 After the Mudspike DCS World 2015 Fall Fly-In, a few of us were on TeamSpeak talking about the challenges of finding and flying in a group that wanted to be more tactical. It is a tougher problem than people tend to think, given that everyone has wildly divergent thoughts on that constitutes “fun” in a virtual flight community — or for that matter, any first person shooter (FPS) or tactical simulation community. We decided that we would try to get something together and start opening that up to the community. 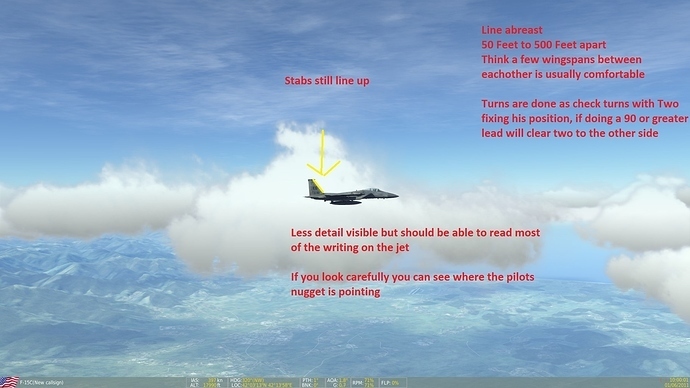 And, in my opinion, we struggled, not because of the capabilities, energy or enthusiasm of the group but because of the magnitude of the possibilities that DCS World offers within its virtual combat world. Some us want to be fighter pilots. Some of us, mud movers or rotor heads. Some of us love procedure and structure. Some of us just want to get in a pit and fly and some have limited time from training, missions or both. It is inherently difficult to pull a mission together that fulfills what everyone wants to do, what everyone can do, let alone try to chop that up into tactical lessons followed by implementation missions. It seemed to make sense to start with something that was accessible to everyone and a bit of a rock-star role: that of an air-to-air combat pilot. Near_blind set up a few training missions with F-15Cs and we spent a couple of sessions forming up, walking through tactical turns, and then practicing them in two- and four-ship flights. Nothing terribly complicated but something that did require a bit of focus and practice. In a follow-up session, when only a couple of participants were in attendance, near_blind pulled together a small mission that would allow us to attempt to implement what we had practiced. Below, we will talk a little about what the training involved and then provide an After Action Report (AAR) for that mission as executed by near_blind and I. After that mission I posted some video of the mission and Klarsnow and others were kind enough to critique what was seen from that viewpoint. We will include portions of that talk in the third part of this series: the debrief section. I would also like to point out that this article is not intended to be a Negative Nanny: we do not fly and fight that way regularly and it is not my intention to turn each mission into a debriefing scenario such as this. After this mission was completed, and I had posted the initial video to an internal thread, the level and quality of the feedback suggested that it would be a good learning debrief for others. Since I was sitting in the seat that ended up with the majority of the ‘lessons learned’, I felt comfortable being self-critical and I thought that sharing this would provide a great opportunity for others. Note: I recorded the flight from my perspective and matched that video up with a recording from Tacview. Take a look at the end of the article for the links and description. First we need to describe or define what is meant by formation flying. Some people have an aversion to formation flying but I think that this has more to do with the type or purpose of the flying, rather than the act itself. Parade Formation refers to flying 3 to 30 inches off of your wingman’s … ahh … wing and welding yourself to that position while you both (or as a larger team) execute flight maneuvers intended to show off your skill to a crowd. This is, believe it or not, a useful skill! The discipline to fly close to another aircraft requires intense focus, finesse, courage, and a detailed knowledge and feel for how your aircraft, and the other aircraft in the formation, fly. Tactical Formation refers to flying with your flight in a manner that allows you to prosecute a target or mission as a team, bringing the firepower of the team to bear on the enemy while denying them the ability to do the same. It still requires focus, finesse, and skill in the control of your aircraft but the point of the flying is very different. What we are focusing on is in the realm of tactical formation flying, the intent of which is to aim for the type of flying that makes us more successful as a team and less likely to operate as individuals: cooperation and coordination over individual effort. The first part of this is what the US Air Force AETCTTP11-1 Tactics, Techniques, and Procedures document calls Basic Formation. This type of formation flying is intended to be used en-route to the target area and start focusing the individual members of the flight on operating as a team, getting everyone’s head into the game and “ahead of the jet”. 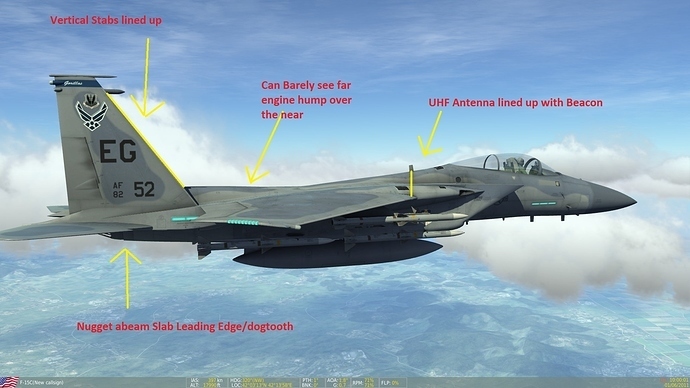 Formation Points of Interest – These parts of the F-15C provide visual reference points to use when keeping position. – Maintaining SA on the profile. – Keeping up with the NAVAIDs. 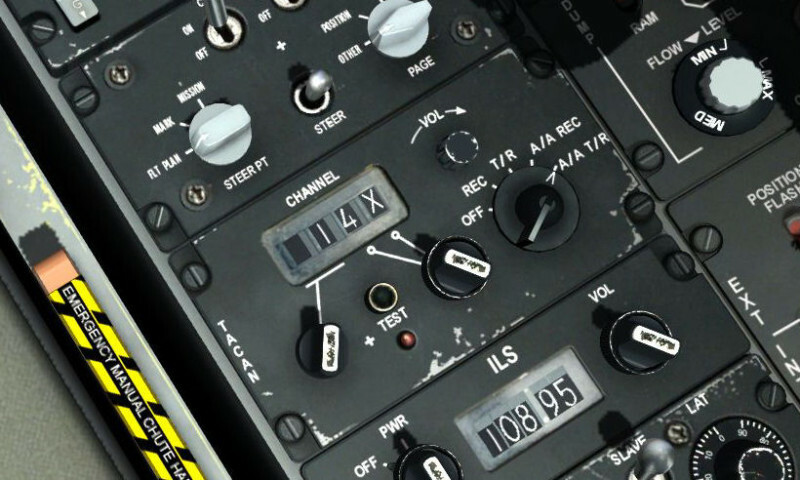 – Clearing for the flight both visually and by LISTENING on the radios. – Anticipating the next radio calls. – Querying lead when unclear or when necessary to prevent safety or rule violations. The second part of this occurs when we move to a more tactical formation footing – focusing our efforts and importantly, our efforts, against our adversary. This is executed, in US Air Force doctrine, as a two-ship or four-ship combat flight. Two-ship tactical formations are the baseline formations for employment. These formations include line abreast (LAB) and wedge. Although the parameters vary from air frame to air frame, the tactical formations flown in IFF are very similar to what you will see in the combat air forces (CAF). We will not cover four-ship tactical formations for the sake of focusing this discussion on the AAR described later. As will become apparent in the AAR, our flight focused on the Tactical Line Abreast (LAB) tactical formation. Here I’m a little too far back, and a little too close. Line Abreast (LAB). 4000 to 6,000 feet with 0° to 10° aft and up to 2,000 feet of altitude stack. Always strive for 0° aft. 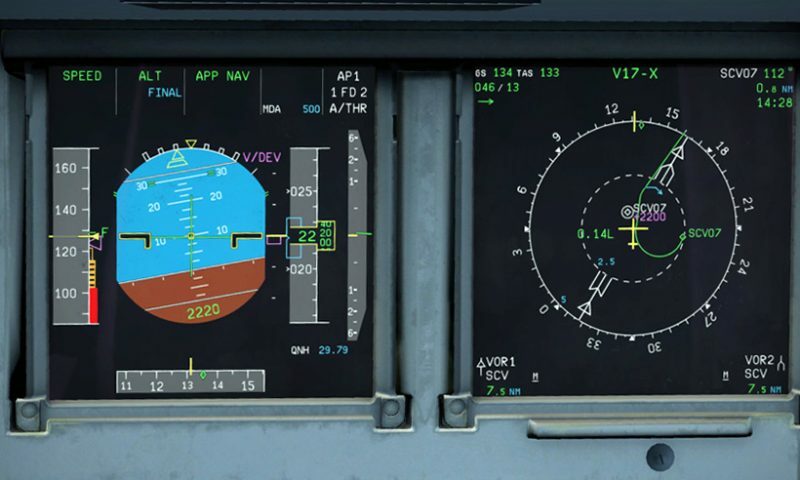 Your priorities in flying LAB formation are: LAB first (0° aft), range second, and lastly taking a stack. Maintaining a cross-check instead of constantly staring at the flight lead will allow you to see subtle changes in your position. This formation is fairly easy to understand and implement once you get a sense for the ‘picture’ — in this case the way that your wingman should look when executing this formation. As flight lead, your wingman will be behind your nose, only 0 to 10 degrees, and off to the right or left, depending on the tactical requirements or geometry of the engagement. – >6,000 feet = “Cigar” with vertical tail, can’t see distinct burner cans. – 6,000 feet = Burner can barely visible protruding aft of vertical stab. – 5,000 feet = Can see burner, can distinguish from tail, “L” shape where boat tail meets aft end of vertical stabilizer. Canopy detail starts to become visible. – 4,000 feet = Canopy distinguishable from fuselage, can see but not read the tail letters. 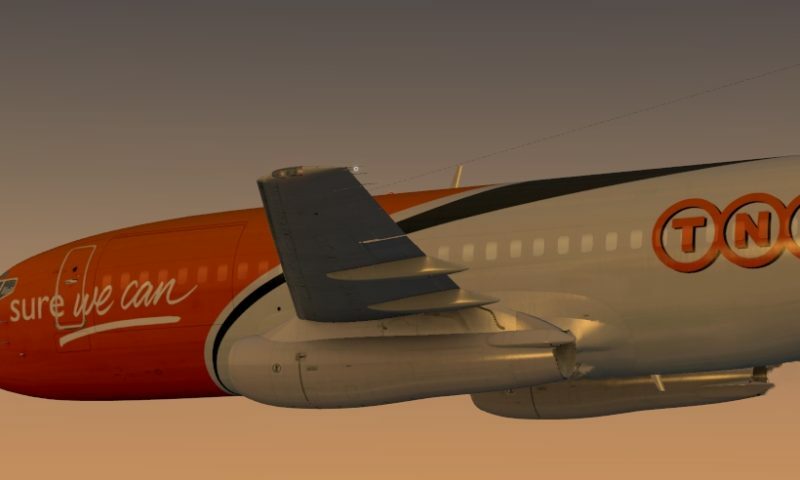 – <4,000 feet = Detail on airplane, distinct canopy, can read tail letters. Beacon will be visible. Here in Line Abreast (LAB) I am still a little too far back and a little too close. Once these formations have been established we need to understand how to maneuver as a team, keeping the formation in place, staying “ahead” of our jets, and turning our attention outside the formation in preparation for the upcoming fight. …and in a near LAB. Two-ship tactical turns are accomplished IAW AFMAN 11-251, Volume 1, except as noted here. Expect flight leads to have solid wingman consideration; however, they will fly wherever required to accomplish the mission. This means that turns may not be exactly 180°, 90°, or 45°. As tactical turns are initiated, you should assume standard turn amounts, however, continue to monitor and fly off of lead during the remainder of the turn. This will allow you to make corrections early and still roll out in position. The contract for tactical turns is MIL power and G to hold airspeed (normally 350 knots calibrated airspeed [KCAS]). When in level flight between 10,000 and 18,000 feet, this will be approximately 80° of bank and 3 Gs. However, not all turns are level (for example, climbing between BFM sets), and sometimes turns are initiated from nonstandard positions and/or energy states (for example, just after a BFM set). A constant cross-check of the flight lead is necessary so that you can match their turn rate, radius, and line-of-site rate (LOSR) and end up in the proper formation. If this is starting to sound complicated, it becomes almost second nature after only a few attempts. In the exciting second act of this play, near_blind and I implement this in a mission scenario. 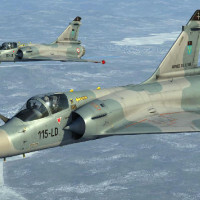 You can read the play-by-play action as it unfolded in Tactical Combat Flying for Two – Part 2: The After Action Report. The visual cues stuff is fascinating, although I have a hard time memorizing those ‘make the fin look like this’. I guess that’s why they get paid. Plus, the real-life formations are certainly more spread out than I had assumed, although I guess that makes sense to avoid collisions and where visual acuity is better. Nice article! I’m looking forward to reading the subsequent chapters. I really like the look of TacView. It looks like a great tool for debriefing missions. For those who use it, which version do you have? The Pro version looks great but a little pricey. I have the pro version but any version is good. The online debriefing tool is neat but I have not used it much. There will be a couple of videos featuring TacView in the next chapter. Excellent article. Looking forward to the other chapters. Formations ought to be as close as possible, preferably in such a manner that you can visually inspect the rivets. The visual cues become second nature pretty quick, its more about establishing a picture in your mind, When he is that big he’s the correct distance away, and every formation is a plus/minus situation IE tac line abreast is 1-3 miles, thats a pretty big window to float around in. and yes, when you are tactically maneuvering, the last thing you want is to be very close to somebody else, cause then you have to watch out for them, instead of the bandit. Another way to think of the Tac line abreast and why it is the cornerstone of tactical flying (air-air wise) is think about if a bandit jumps one of the two jets (visually), if you are flying closer than a mile or so apart, the bandit is essentially attacking both jets at once, and they both have to respond to the attack. If they are a mile or two apart, the bandit has to pick one of them, the one he picks defends, the other just does a break turn and oh look! Then bandit is right in front of his guns/missiles, and will shortly be dead. Near Blind and I demonstrated this very well a while back ( over a year ago) on a Heater only 104th day, we went in and I think came away with something like 8-1+ kill-loss ratio in F-15’s versus flankers in visual arena fighting. Didn’t matter where the Flanker attacked from, or how he attacked, as long as we were spread out, he had to pick one of us, which opened him up to the other. Most died within 180 degrees of turn. I honestly use the free version.